Father: Timothy Ryan Mother: ? On April 12, 1945 around 1500 hours 1st Platoon of the Recon Company 643rd Tank Destroyer Battalion left the hamlet Wespen driving on the secondary road leading east into the city of Barby, just as the Platoon approached almost the outskirts west of Barby three jeeps and two (M8) Armored cars received a heavy burst of fire from out the city outskirts, wounding quite a few men and later proved 5 men were killed, Thomas was one of them. 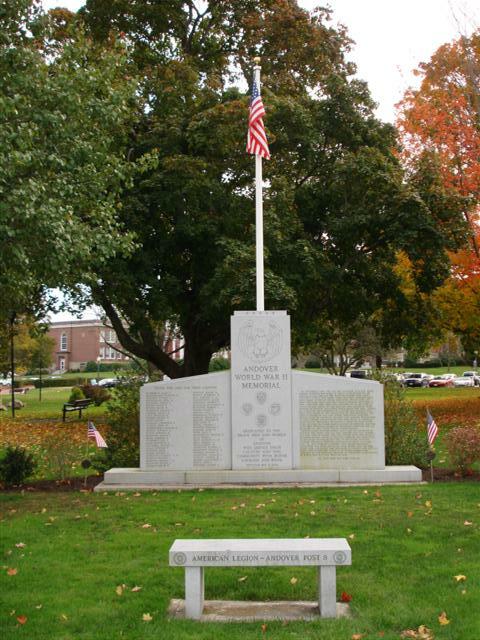 WWII Memorial in Andover, MA. 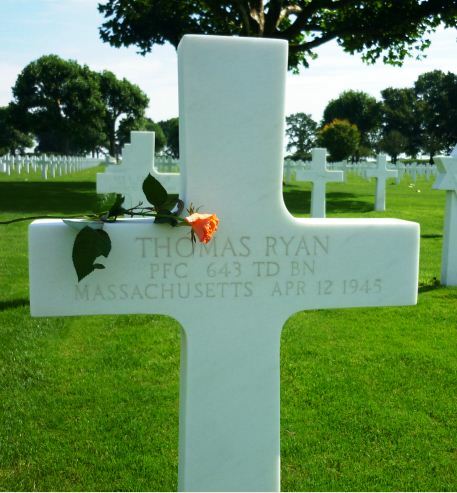 Please note, that we do honor Mr. Ryan on our town WWII Monument where 60 of our own sons were killed in the war. Lastly, on behalf of Andover’s Veterans (living and deceased), and our entire community, I extend a heartfelt thanks for friendship to our nation and the care concern of our loved ones at solemn rest at the American Cemetery Margraten.